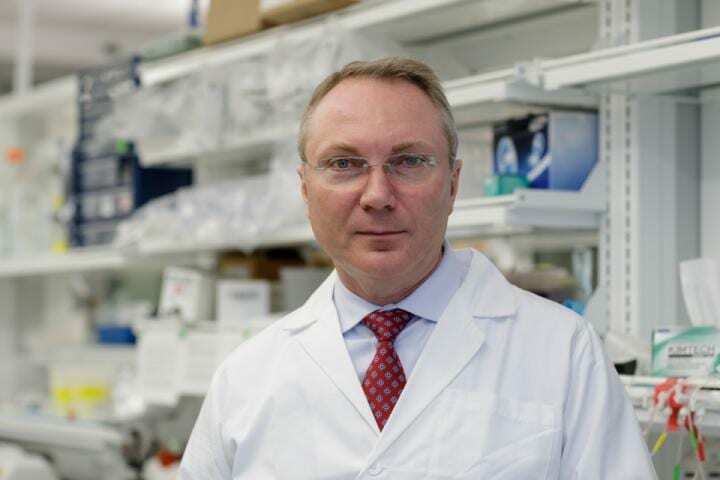 Igor Efimov, a School of Engineering professor who specializes in developing novel therapies for heart diseases, was nominated for his contributions to innovation. WASHINGTON (Dec. 13, 2018)–Igor Efimov, the Alisann and Terry Collins Professor of Biomedical Engineering at the George Washington University, is set to be inducted into the National Academy of Inventors (NAI) next spring, a prestigious distinction for leaders in academic innovation. Individuals elected to the rank of NAI fellow are named inventors on U.S. patents and were nominated by their peers for outstanding contributions to innovation in areas such as patents and licensing, innovative discovery and technology, significant impact on society and support and enhancement of innovation, according to the NAI. This year the NAI received a record number of nominations. It is humbling to be recognized by the NAI, Dr. Efimov said. Dr. Efimov is the director of GW’s NIH-funded Cardiovascular Engineering Laboratory. His lab studies the physiological and biophysical mechanisms of cardiovascular disease and develops novel therapies for heart diseases, with emphasis on heart rhythm and heart failure-related disorders. It was announced in 2017 that Dr. Efimov would spearhead the first global study into specific abnormal heart rhythms that cause sudden cardiac deaths, a leading cause of death in the United States and beyond. A network of global research institutions funded by a grant from the Foundation Leducq are researching who is most at risk for sudden cardiac death and developing therapies to prevent it. Researchers will focus on abnormal ventricular repolarization, a stage when the heart relaxes and complications often take place. In 2008, Dr. Efimov co-founded Cardialen, Inc. to develop low energy cardioversion therapy, with a primary focus on atrial fibrillation. The startup recently raised $16 million in venture capital funding to commercialize therapy developed in Dr. Efimov’s lab. Dr. Efimov will be inducted into the NAI on April 11 at Space Center Houston in Texas. Dr. Efimov came to GW in 2015 from Washington University in St. Louis. He has a bachelor’s degree and a master’s of science from the Moscow Institute of Physics and Technology. He was awarded a Ph.D. in biophysics and biomedical engineering from Moscow Institute of Physics and Technology in 1992 and did postdoctoral work at the University of Pittsburgh. He started his independent research career at the Cleveland Clinic in 1994.